I never dreamed I’d have taken on a second territory in month 9!" From riches to rags...and back again. From hamster to fat cat. Starting a franchise business helped Deborah boost her personal life. 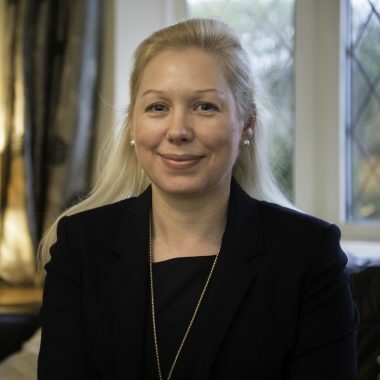 A Chartered Fellow of CIPD with over 22 years’ experience, Deborah mainly worked in the FTSE 100 Defence and Engineering sectors and travelled all over the UK, living 3-4 nights a week in hotels, truly placing herself on the proverbial hamster wheel…and the road to hell. This took a toll on Deborah’s health, marriage and relationship with her teenage daughter. “I wanted to invest in a recognised brand, with a solid support network, advice and support behind it so that I could hit the ground running and replicate a pretty impressive income as soon as physically possible. “I never dreamed I’d have taken on a second territory in month 9! What does your HR Dept future hold? “My intention is to expand my business year on year; I took on an additional territory in month 9, I am taking on a part-time administrator in the next month and have offered a higher apprenticeship to sponsor a business graduate to gain CIPD Level 5, starting in May.